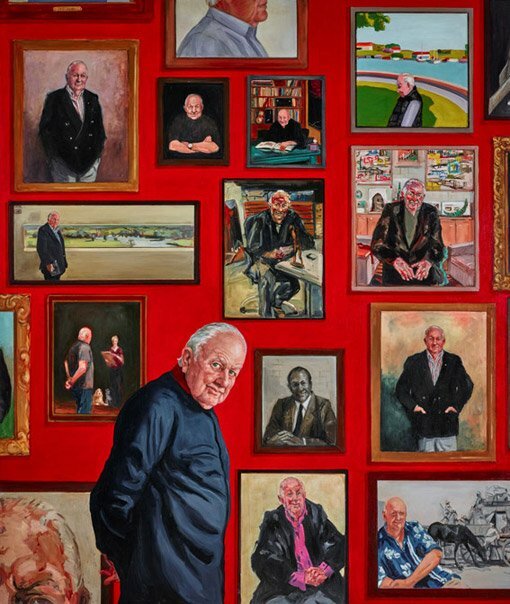 For her 2018 Archibald work, Joanna Braithewaite showed businessman and collector Pat Corrigan in front of a selection of the many portraits painted of him, including some that have been in the Archibald – by Alan Jones in 2013 and 2016, and Paul Newton in 2006. 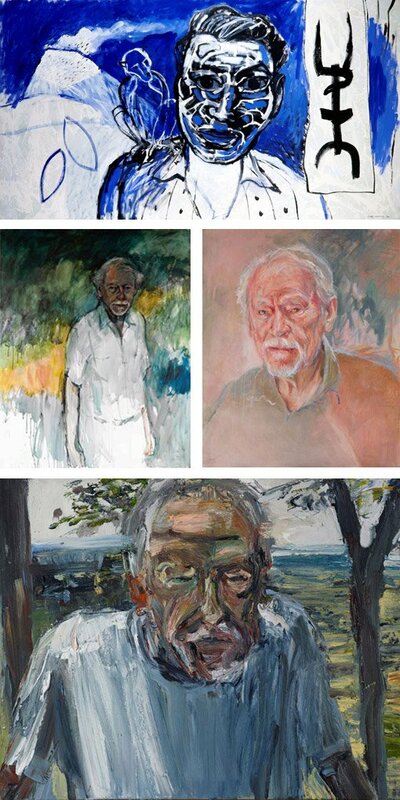 Pat is not the only Archibald sitter this year to have appeared in prize portraits in the past. So let’s take a look at then and now. How do the paintings compare? And how does an artist’s depiction of themselves line up against a portrait of them painted by another artist? 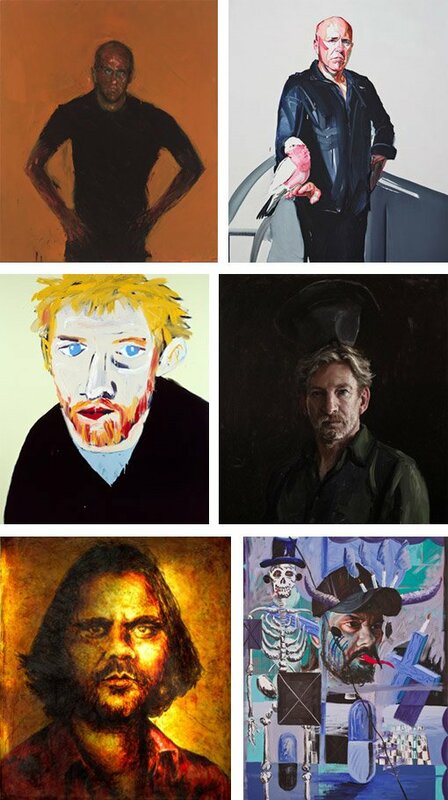 Tony Albert, who is the subject of Ben Smith’s painting this year, has had self-portraits in the previous two Archibalds – 2016 and 2017. 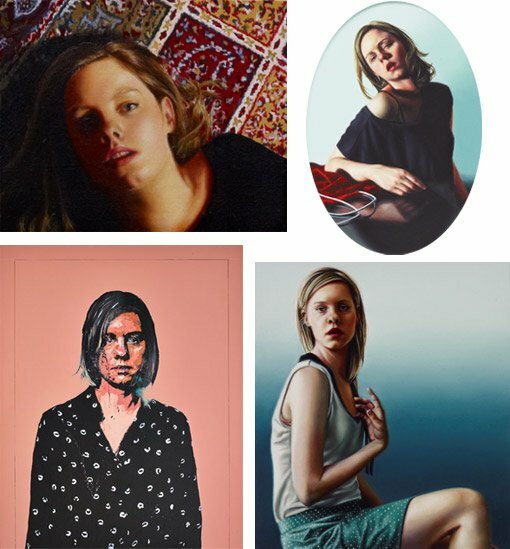 The subject of this year’s Packing Room Prize winning portrait by Jamie Preisz, musician Jimmy Barnes, has made an appearance in each of the past two decades – in portraits by Ben Quilty in 2009 and Kerrie Lester in 1999. The 1999 exhibition included a Jenny Sages portrait of dancer and choreographer Meryl Tankard and a John Peart portrait of artist Elisabeth Cummings. Almost two decades later, Meryl and Elisabeth appear again, in paintings by Dee Smart and Noel Thurgate. Portraits of writer Richard Flanagan and actor David Wenham – painted this year by Julian Meagher and Jordan Richardson respectively – won the Archibald in 2003 for Geoffrey Dyer and 2000 for Adam Cullen. The People’s Choice award went to Craig Ruddy in 2010 for his portrait of Warwick Thornton; in 2018, it is David Griggs who has painted the acclaimed filmmaker. 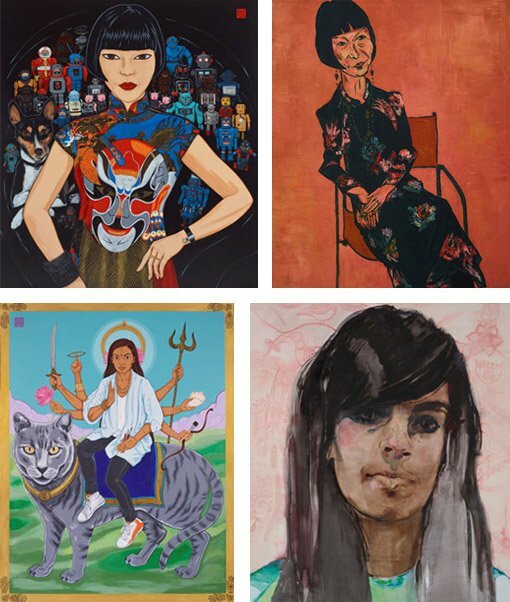 Media personality Claudia Chan Shaw and artist Sangeeta Sandrasegar have more in common than appearing in the 2018 exhibition, in paintings by Tony Costa and Fiona McMonagle. They’ve both previously been painted by Kate Beynon, for the 2016 and 2014 exhibitions in turn. A portrait of artist Joan Ross by Mathew Lynn was among the finalists in 2009. 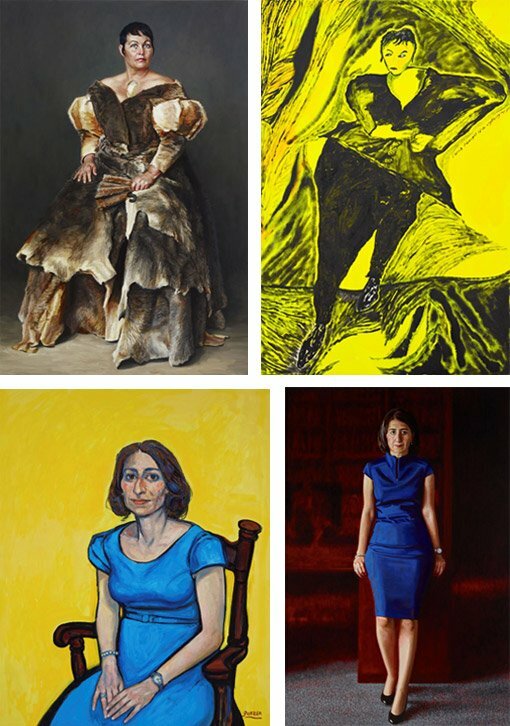 This year, Joan was painted by Tom Polo and Lynn is represented by a portrait of NSW premier Gladys Berejiklian, who appeared previously in 2014, in a portrait by another 2018 finalist, Salvatore Zofrea, when she was Minister for Transport and deputy leader of the NSW Liberal Party. But the 2018 sitter who we’ve seen most often and over the longest period is Guy Warren, who himself won the 1985 Archie. He was painted this year by Euan Macleod, another Archibald winner. His likeness first appeared way back in the 1984 exhibition (in a portrait by Eric John Smith) then in 1985 (by Stuart Maxwell), 2004 (by Ann Cape) and 2016 (by Danelle Bergstrom) as well as in a self-portrait in 1996. Unfortunately, we don’t yet have images of some of these earlier works online, although we’re continually adding to the historical database as we edge towards 100 years of the Archibald in 2021, building a centennial album of Australian identity. Next post: Who painted Henry?